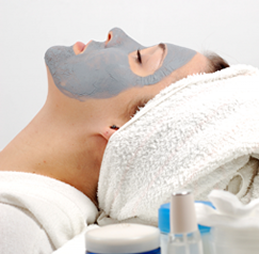 Enjoy facial treatments for all skin types at Spa Radiance LLC in Lake Saint Louis, Missouri. Every facial is a unique, personalized, and customized beauty spa treatment. Our 3-Tiered Facial Options offer customized facials for your specific skin care needs from beginning to end. Choose the option that best fits your needs the relax, let our skin care professionals cater to your skin. Includes 1 add-on of your choice. Perfect way to cleanse those though-to-reach spots, targeting a variety of skin care needs. This is a great way to relax and get your back ready to show off that flawless skin! Enjoy a gentle exfoliation of lips with a brown sugar scrub followed by a gel mask for the mouth and lips. Soothe, hydrate and refresh with the sugar exfoliation on your feet/hands followed by a hydrating massage. Be taken on a sensory journey using essential oils extracted from herbs, flowers, and fruits to enhance your well being. Treat yourself to a nice cleansing of the skin, gentle Treat yourself to a nice cleansing of the skin, gentle back and relax while your hands are placed in warm mitts. Tired, dull eyes enjoy this unique eye mask. Collagen pads activated with a top of the line serum, will help wake those tired eyes. Extend your already relaxing facial with 15 more minutes of customized rejuvenating massage. Peels are most effective in helping to repair sun damage skin, improving rough skin texture, acne, hyper-pigmentation, and reducing the appearance of fine lines and wrinkles. Chemical peels are a great solution for a range of skin concerns from acne to wrinkles to hyper-pigmentation. Can help reveal a more radiant, smoother, and more youthful looking skin. Our 30% glycolic peels are most effective in repairing sun damage and improving rough skin texture, acne and reducing the appearance of fine lines and wrinkles. Peel includes a mini facial with a facial mask customized for your skin type. Formulated with a low pH and high free acid content. antioxidants, lightening and brightening ingredients produce impressive results that can be seen after a peel. For dry sensitive, flaky skin. For skin that has lost its firmness and elasticity and/or with rough texture, large pores, or sun-damage. For skin with tougher, thicker, sun damaged, skin. Helps to reverse signs of aging.